A cow-orker’s wife was out of town for the week (obviously!) and he and his seven buddies decided to do some “man cooking” for poker night. 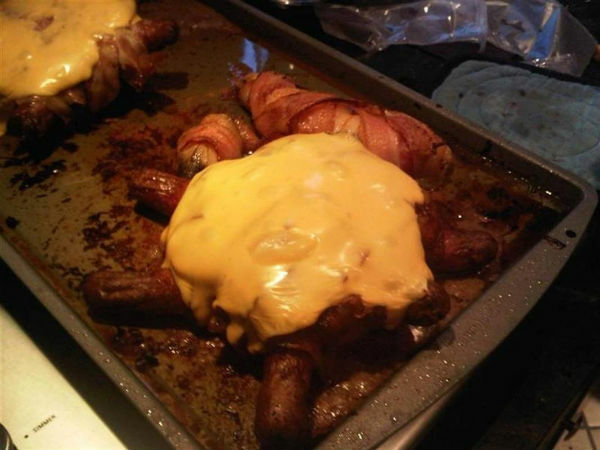 The result: Meat Turtles for dinner and Bacon-Wrapped Bananas for dessert. 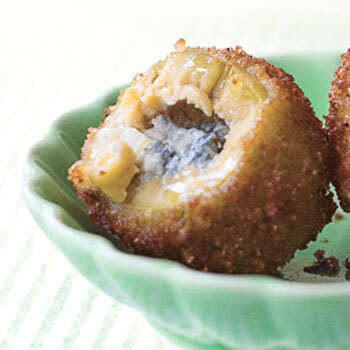 We’d love to try this recipe for fried green olives stuffed with cheese! Let us know if you try them and don’t forget to take pictures.